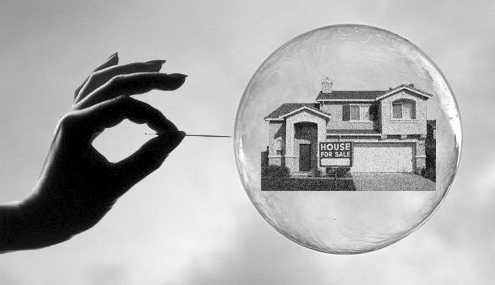 Housing bubble? Waiting for the crash before buying has cost you 60% in the last 6 years. Bad news travels 10 times faster than good news! It’s just human nature that we can’t seem to escape. We seem more likely to gossip about someone’s misfortune than their accomplishments. Here’s a negative headline…. YOU LOST APPROXIMATELY $355,000, SO FAR, IF YOU’VE BEEN WAITING TO A BUY HOUSE SINCE 2008. Read on to see understand how and why. Take Wednesday’s headline in the Financial Post, “Bank of Canada warns house prices are overvalued by up to 30%” . WOW! How’s that not gonna get your attention? It certainly got mine. I immediately had to read this article. But the more I read, the clearer it became that this statement wasn’t exactly true. The article pointed to a semi-annual report that is put out by the Bank of Canada entitled, Financial System Review December 2014. That headline is an attention grabber.. And like most media headlines, it’s not the full story. In fact, it’s not an accurate reflection of what the Bank of Canada report had to say. If you look at Stephen Poloz’s (Bank of Canada Governor) comments, he says “there is some risk that the housing market is overvalued, and our estimates fall in the 10 to 30 per cent range”.